Evo & Grace: The WanderLusts: Wakay Travel and Tours made history in Batanes. 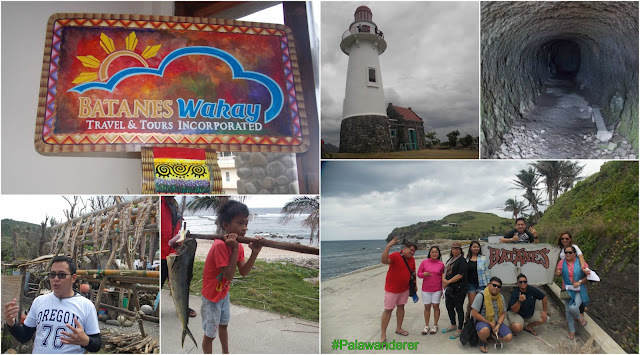 Wakay Tours, the premiere booking and travel agency in the province of Batanes recently made a history in the tourism industry of this northernmost island in the Philippines, by hosting the first ever cruise ship to land and visit this beautiful province of Region II. Caledonian Sky cruise ship made its historic voyage to Basco last March 17, 2017 along with 70 mostly American tourists, the stop over that lasted for almost 8 hours is the last leg of the Philippine tour for the said cruise before heading to Taiwan. Wakay (Ivatan term for Sweet Potato) spearhead the arrival of tourist from Basco Pier going to their first destination, the giant Basco Lighthouse that serve as the good destination to see the magnificent view of Batanes from up above the hills. It is located in Naidi Hill, a former resettlement area that also house a old battery office that was bomb during Japanese invasion time. The fast and moving tour is also assisted by eight dynamic and professional national tour guides from Tour Guide Federation of the Philippines headed by its President Albert Gadia, they help and motivate Ivatan guides that lead different tour van of guest, from Caledonian Sky. After Basco Lighthouse the tour directly go to Japanese Tunnel also located in one of Basco beautiful mountains, this tunnel was purely made by Ivatans as commission by Japanese invaders way back then. They proceed to Diora fishing village, where Ivatans traditional fishing is showcase. As part of customs, when fishing season start by March, a ritual of sacrificing a boar is taking place to have a blessing for bountiful harvest at the sea. They usually aim for Dolphin Fish or Dorado as called by them. Flying Fish or Dibang is the one they use as bait to catch the precious Dorado. Prior to that they also use fresh water shrimp to catch Dibang then it will be used to catch the said target fish. A short program takes place at Ivana to welcome this special tourist, they were greeted by the locals and cultural presentation of dances and songs is also presented. 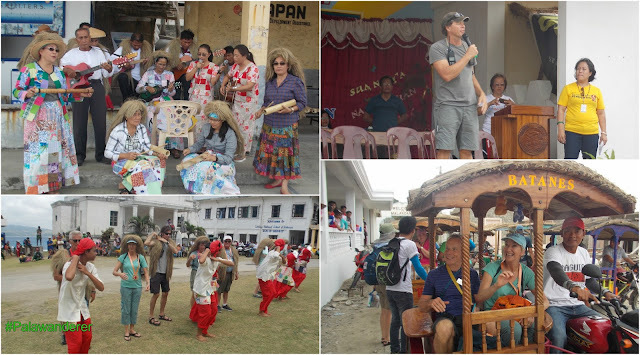 The last leg of the tour happens in Sabtang, a nearby island town that can be reach 30 minutes from Ivana, this is where the living museum of Batanes is located where old and authentic Ivatan houses made from stones are still standing along with their beliefs and culture. Another special program is also held organize by the local Government of Sabtang to welcome this once in a lifetime guests. This first cruise ship travel in Batanes by Caledonian Sky is indeed a success, they prove that being the most typhoon visited place in the country, and the most expensive to visit locally is still a worth of your hard earn money to spend with, the beautiful sceneries and its warm people called Ivatans are the best experience you will treasure forever. Caledonian Sky visit is also made possible with Zegrahm Expeditions and Sharp Travel Service. Batanes this 2017 is expected to host more Cruise ship arrival since it is a new destination to be offer in cruise ship tour packages.